This tour is great for a Costa Rica family vacation, especially if your time is limited. 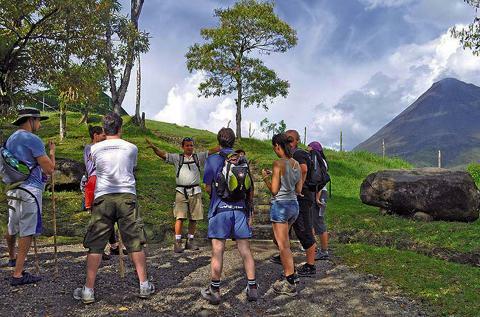 This all-day, all-inclusive outing will introduce you to the best that Arenal has to offer! 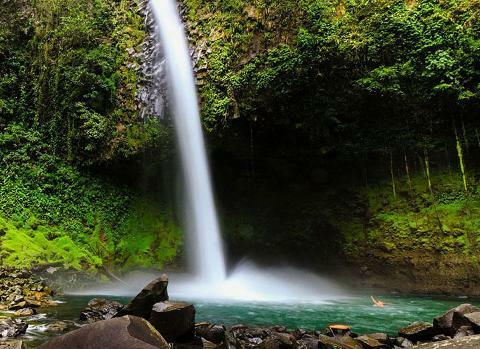 •	Start of your day with a visit to the breathtaking La Fortuna Waterfall! Take a fun ride up a scenic country road to the base of the extinct Cerro Chato Volcano, we’ll hike down to the bottom of one of the largest waterfalls in the Northern Zone. There is also a great viewing point if you don't want to brave all of the steps on the way down! Take some time to swim in the crystalline pools and take advantage of some “Kodak moments.” It is truly beautiful here, definitely nature at its best! •	Then, settle down to a delicious all-you-can-eat lunch. •	After lunch, experience Costa Rica like never before on this tour that combines local Costa Rican culture, traditions, and history! 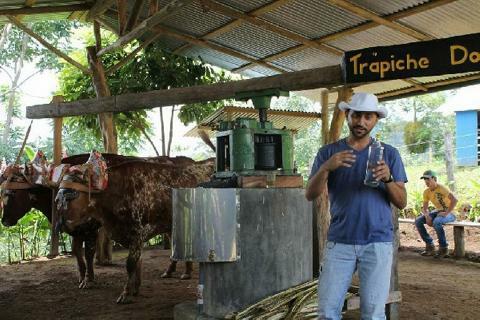 •	Head to the nearby Sugar Cane Mill where you will learn about sugar cane processing as it was one hundred years ago. 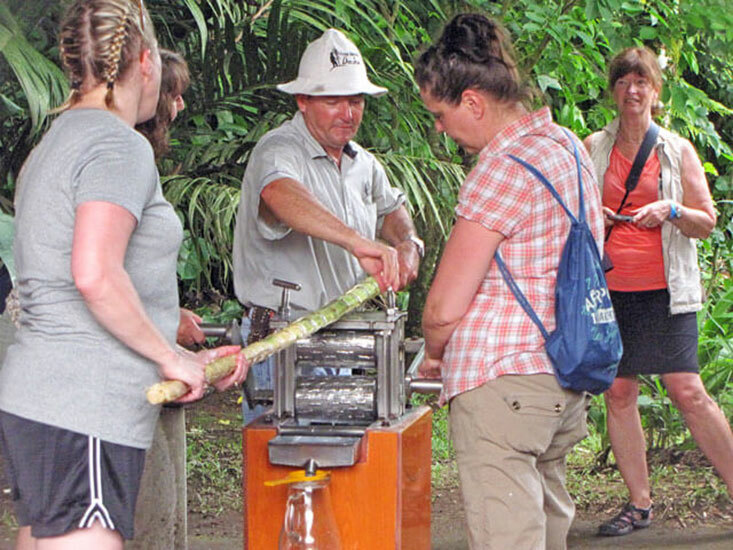 You will also have a chance to try fresh sugar cane juice right from the mill! Que Rico! •	Relax and rejuvenate in natural hot springs near the Arenal Volcano and enjoy the series of hot and cold pools, swim-up bars and mini waterfalls, all heated by the volcano’s geothermal activity. •	Sit down to yet another delicious meal, full of fresh vegetables and local meats.